I’ve never been a big fan of the talent community concept. I get the idea. It would be nice if jobs, careers and companies were interesting enough to support real communities. A real community in my opinion, enables everyone to be able to connect, communicate and set the agenda for conversation. Whilst there was a lot of talk by companies wanting a community, what most really wanted was a talent network. The talent network can be defined as up and down communication between the recruiters and potential candidates when the messaging is relevant. Companies like AT&T have done a great job of this by utilising technology like Findly, that enables a simple sign up and the segmentation of data. I’ve been thinking a lot recently about the Talent Tipping Point, and what this might be for different organisations. What I mean by this is the number of connections an organisation needs to reach the point of having all the message points they need to fill all of their future hiring needs. This need not be in a formal way via an organised talent network, it might also include social media connections such as fans of the Facebook career page, followers on Twitter or a LinkedIn page. All of these data points are searchable, which simplifies segmenting data, matching to content and jobs, and relevant messaging. 1) Current employees for internal mobility. All of the source of hire reports indicate internal mobility and promotions as the number one source. When employee data is retained in the CRM for matching and access by recruiters without the need for permission, and employees are made aware of every relevant opportunity. 2) Ex-employees for boomerang hires. As attitudes are changing to rehiring, organisations are increasing their percentage of rehire’s. This provides another pool of data within the CRM for recruiters, and increased connections. Ex-employee data is valuable because past performance, conduct, skills and achievements are known. 3) Social referral data. Modern referral technology such as RolePoint, (Disclosure: I serve as the lead advisor to RolePoint), enable recruiters to match opted in employees social media and other connections with content and new opportunities. When we consider that the average employee will have 125 Facebook friends, and 240 LinkedIn connections, it is easy to see the potential of gaining access to this data, with the opportunity for matching and messaging. 4) Previous applicants. Consider the high volume of applicants who have shown an interest in the company in the past. When this data is organised for search and retrieval, (rather than simply storage), this provides a huge pool of qualified data of people, some of whom will have already been met and assessed. When the candidate experience has been a good one regardless of the outcome, there could well be an interest in reapplying for the right opportunity. 5) Friends, fans and followers. 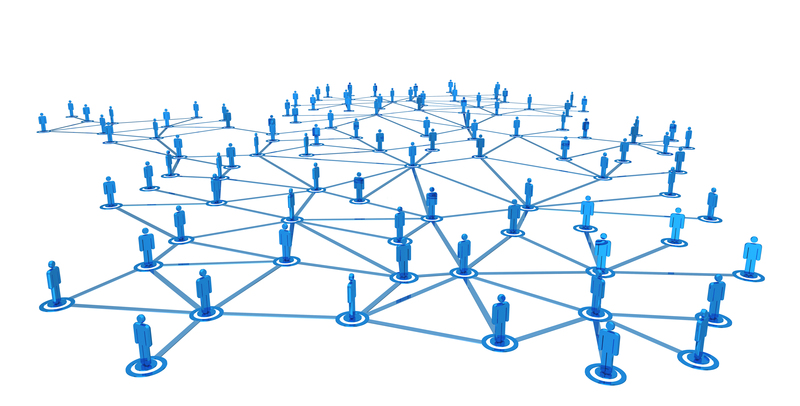 Individuals are increasingly connecting with companies via LinkedIn and other social pages, Fan pages, Twitter accounts etc. The numbers will increase, and whilst there may be some attrition in connections as people choose to disconnect, other branding activity will bring in new people. This will also include people who choose to sign up for a talent network to keep in touch, in the same way as they might follow a company page. When we look at these five data sets and consider the volume and relevance of connections, it is easy to see the potential for reaching a Talent Tipping Point of all the connections you are ever likely to need for future recruiting. If we can identify this point, (including relevant skills), backed up with technology for accurate and timely data retrieval in real-time, analytics, data mapping for succession planning and workforce analytics, and relevant messaging, then the focus of the talent acquisition team takes on a new dimension. Hit the tipping point of connections (and you may already be there), and its all about maintenance of relationships and cleanliness of data over new talent attraction. Could Moocs be the next big thing in college recruiting? The Recruitment Unconference community is now #truMunity. Book your seat before it's too late. We are hosting #truEvents worldwide.